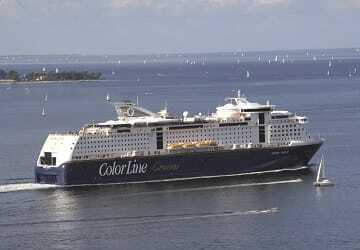 Color line is Norway’s largest, and one of Europe's leading ferry companies, representing more than a hundred years of continuous maritime traffic between Norway and Europe. 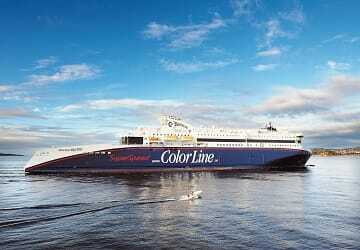 The brand we know as Color Line was introduced in 1990 after the merging of Jahre Line and Norway Line, and the takeover of Fred Olsen ferries, with today’s figures standing at 4.2 million passengers, 800,000 cars and 160,000 trailers carried annually. 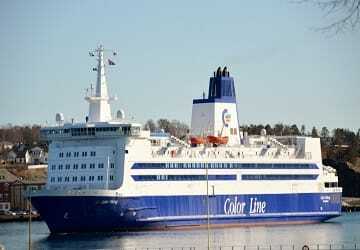 Currently employing 3,500 people in 4 countries, Color Line’s headquarters are located in Oslo, alongside multiple Norwegian offices all over the nation. On board Color Line's ships you'll find facilities and activities suitable for all age groups including large, tax-free shops with a wide selection of goods, play areas and an assortment of entertainment for young and old customers alike. You'll also have the choice of a wide range of cabin accommodation ranging from modest economy style cabins to roomy Color Class suites. 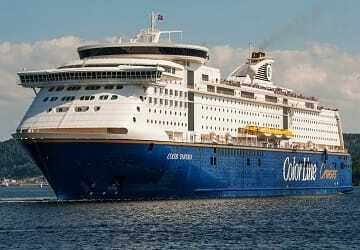 The fleet contains MS Color Magic, the largest cruise ferry with car deck in the world, while MS Color Fantasy, Color Viking, Superspeed 1, Superspeed 2 and Color Hybrid are all world-class vessels, carrying huge numbers of passengers at a time. Directferries.com.au allows you to compare Color Line timetables and fares with all alternative ferry operators before deciding on the best option for your trip. "Travel from Oslo to Kiel"
We were very impressed with our crossing - we had pre-booked seats and a meal in the restaurant and would recommend this as the standard of food was excellent with an amazing choice of dishes, constantly replenished throughout the journey so that you felt that whatever time you ate you would have the same quality of meal. We though it represented excellent value (our crossing was at 4.30pm). 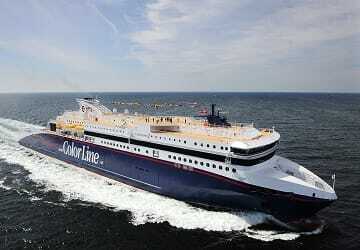 The ferry was punctual and boarding and disembarkation were easy. It was also reassuring to know that you had a comfortable seat to return to throughout the trip.